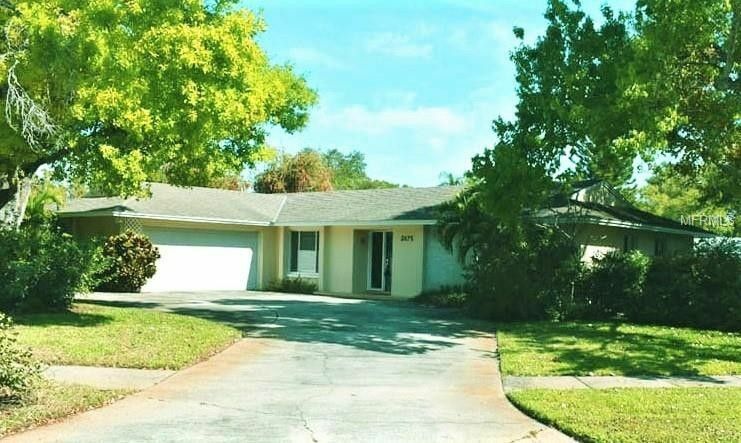 WELL MAINTAINED 3 BEDROOM / 2 BATH, SPLIT BEDROOM PLAN POOL HOME! FEATURING: BRAND NEW STAINLESS STEEL APPLIANCES, AND BRAND NEW CENTRAL A/C INSTALLED 11/27/18! NEW FLAT ROOF! NEW MAIN ELECT. RISER! OPEN FLOOR PLAN WITH COMFORTABLY SIZED LIVING AREAS AND BEDROOMS, BILLIARDS/BONUS ROOM WITH POOL TABLE INCLUDED! BRAND NEW LIVING ROOM CARPET! REAR FAMILY ROOM WITH FRENCH DOORS TO THE DECK & INGROUND POOL. VINYL PRIVACY FENED BACK YARD! .25 ACRE CORNER LOT WITH MATURE OAKS AND CONVENIENT CIRCULAR DRIVE! SPACIOUS MASTER BEDROOM WITH WALK-IN CLOSET! FORMAL DINING AREA OFF KITCHEN! SOLD AS IS, WITH RIGHT TO INSPECT , ATTACH PRE-APPROVAL FOR FINANCING OR PROOF OF FUNDS WITH ANY OFFER. SEE PHOTOS & VIRTUAL TOUR! Directions: KEENE ROAD, EAST ON ROSERY ROAD N.E. TO ADDRESS.